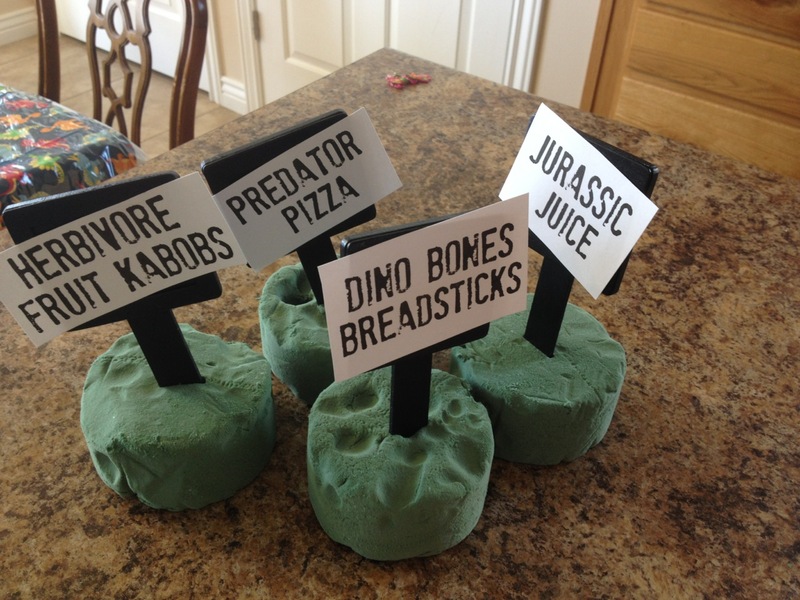 Last year my daughter wanted a dinosaur birthday party, and since her birthday is on Halloween we combined the two themes. 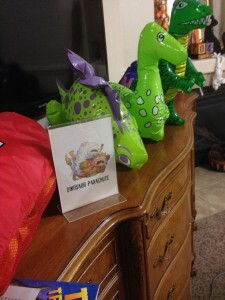 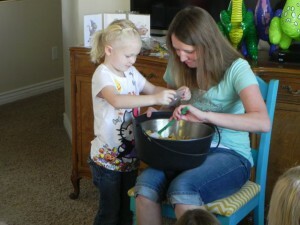 We started the party by having kiddos work on a personalized dinosaur bag and foam magnet. 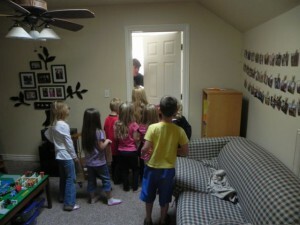 It was a great arrival activity! My husband then read a Dinosaur Halloween book called T-Rex Trick or Treats. 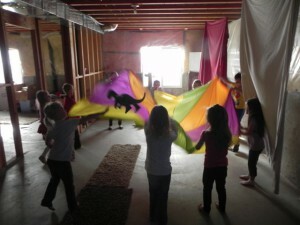 It was a PERFECT literature connection between our two themes- I liked the book so much that I based all our party activities on it! and making dinosaur witches brew. 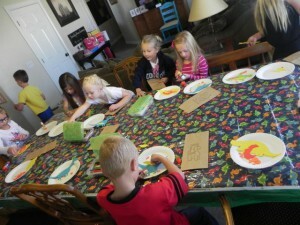 All the images from our signs are from the book- loved how it worked out! 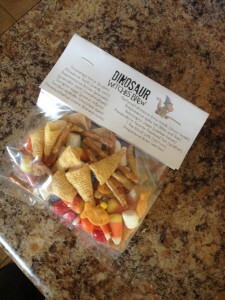 The kids got to take a small bag of our brew home as part of their goodie bags. 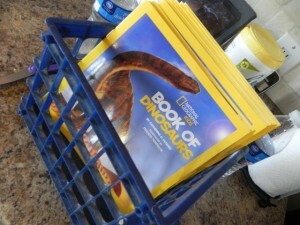 We also handed out dinosaur books to kids- you can never have too many books! 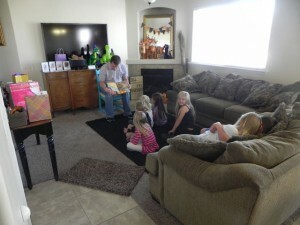 And yay for educational ones, too! 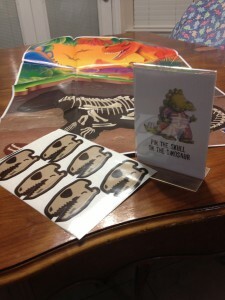 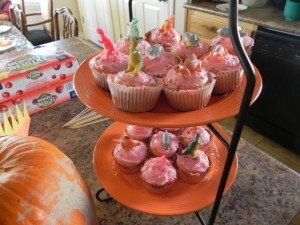 I hope these pics inspired you to create your own amazing dinosaur party! 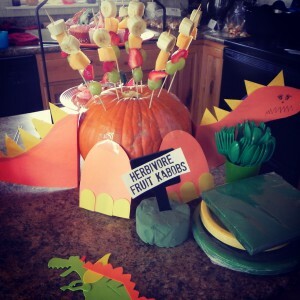 This entry was posted in celebrations, dinosaurs, Halloween and tagged birthday, boo, paleontoligist, party, science, scientist on October 19, 2014 by ktoponce.